Reverend Carol Takacs is committed to uplifting and encouraging others to embrace their divine nature and celebrate life’s transitions. Deeply influenced by world religions, cultures and wisdom traditions, Rev. Carol offers life-affirming ceremonies, rituals and services. In her work as a spiritual and life coach and workshop facilitator she inspires others to live their authentic life. Rev. Carol completed her studies at One Spirit Interfaith Seminary in New York City and has been ordained as an interfaith minister in June 2015. Rev. 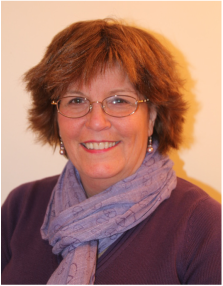 Carol holds a Masters Degree in HR Management and Counseling from the University of Bridgeport and is trained in Emotional Intelligence coaching from Yale University. Rev. Carol is available for life ceremonies, spiritual and life coaching. For further information, to book an appointment or to hear more about group workshops please call Rev. Carol at 203.929.7485.